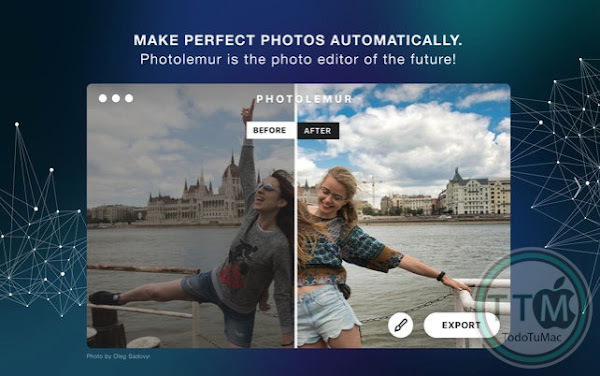 Photolemur makes your photos great automatically. It is the fastest and easiest way to make all your photos look great, using the power of Artificial Intelligence. No complex sliders. No waste of time. No complex learning. Get flawless raw support and picture perfect enhancement in seconds. STEP 1. You bring your images into Photolemur. Load as many as you like. STEP 2. 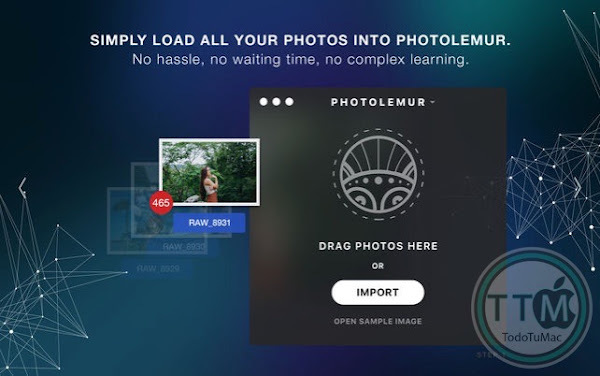 Photolemur automatically analyzes your photos and uses 12 cutting edge technologies to make your photos look great. STEP 3. You define the final look using SMART SLIDER and save/share the photos you like. All people want to make their photos better but not everyone can afford expensive gear or wants to spend hours editing photos. And not everyone wants to learn what curves and layers are. 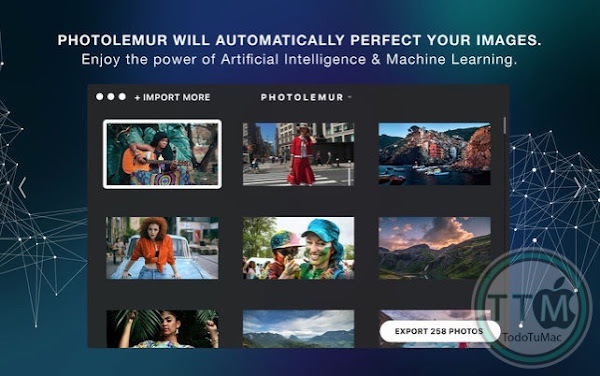 Photolemur is an automated photo assistant that enhances your images as a professional photographer, but faster and with no effort required from you. This is the first photo enhancer that can actually think for itself. Innovative user-centered interface puts all the focus on your images, and doesn’t confuse you with complex sliders. Sleek & sharp on the outside, Photolemur houses the most advanced image processing technology on the inside. 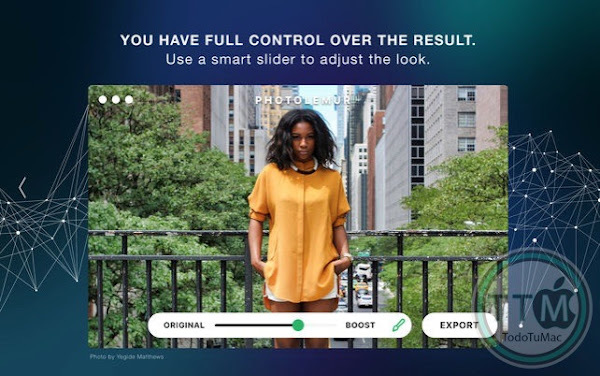 • Automatically analyzes problematic areas on your photos and applies the necessary fixes to makes photos look great. • Automatically detects & fixes faces, objects, greenery, colors and so on. • Processes dozens of photos at the same time using 12 smart imaging technologies. • Supports Raw and all other popular formats. • Color Recovery brings back bright, vivid colors of real life. • Sky Enhancement automatically detects & enhances sky. • Exposure Compensation makes dark images brighter & vice versa. • Smart Dehaze protects your images from haziness or fog. • Natural Light Correction keeps the appropriate warm or cool tones. • Foliage Enhancer compensates the lost colors on greenery. • Smart Denoise automatically eliminates noise on low-light photos. • Mobile Fix dramatically enhances photos shot with smartphones. • Tint perfection deliver the right tint. • Face Retouching detects the face and fixes imperfections. • JPG Fix corrects mistakes on the JPG images & eliminates artifacts. • RAW Converter makes your Raw shots look their best. The full list of the supported cameras you can find on our website (https://photolemur.com/supported-cameras). • Launch Photolemur directly from Photos and save enhanced result back to the original image. • Open and save images using PSD, JPEG, PNG, TIFF, PDF and other formats. • Open and save 16-bits per channel images. 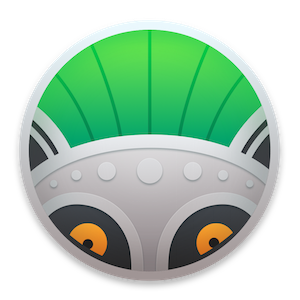 • Photolemur uses a number of macOS features and technologies like Cocoa, OpenGL, Core Image, 64-bit, built-in sharing, and much more. 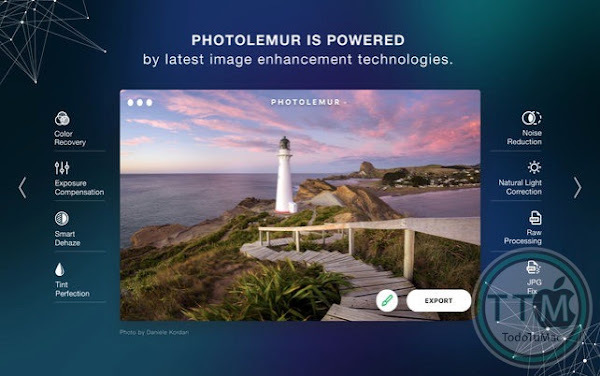 • Photolemur’s innovative interface and image editing engine are fully optimized for the MacBook Pro with Retina display. • Release notes not available in this publication.